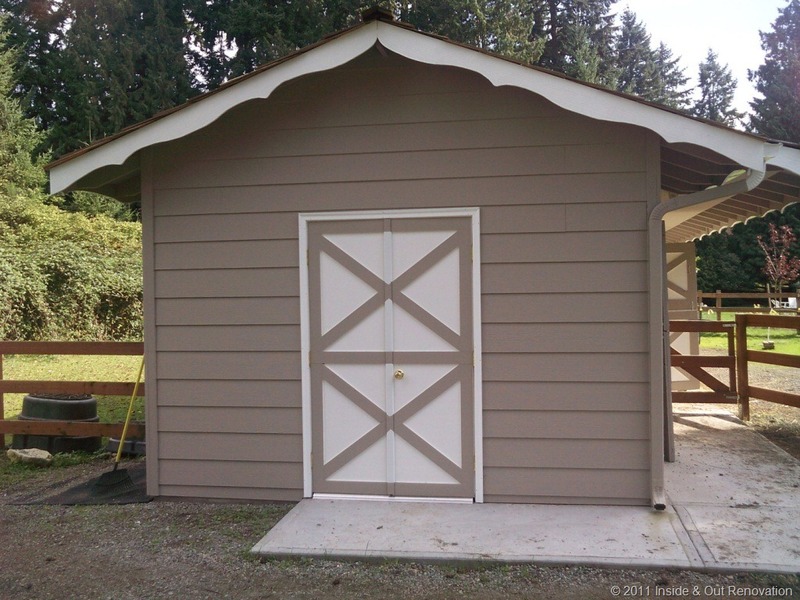 No project is too small, and this Kirkland home owner wanted to add an attached garden shed to the horse barn. 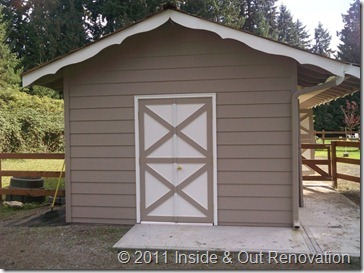 There were only a couple of requirements, shake roof, space for shelves inside and a door to keep the shed dry. The door proved to be the most interesting. Our weather predominately comes from the West so the door needed to have a very good seals. A second factor for destroying a door is the sun. We chose to use a fiberglass door with a composite jamb so that there would be no moisture issues and the door would never warp. The Dutch door design was an added touch to match all of the true Dutch doors.